Call in Sozopol! Closest to the sea! Gentle breeze with promises for pleasant emotions. Endless blue sky that leaves a feeling of full relaxation. It is your ethereal vacation at the Flagman Hotel *** with the beat of waves! The Flagman Hotelwas fully renovated in 2014 and converted to a boutique style. Every room has different furnishing and modernistic bathrooms under a designer project. A luxury restaurant with an indoor area and two open terraces. The Flagman Hotel is well known to tourist industry, with its proven name, entrusted by its guests during the years. 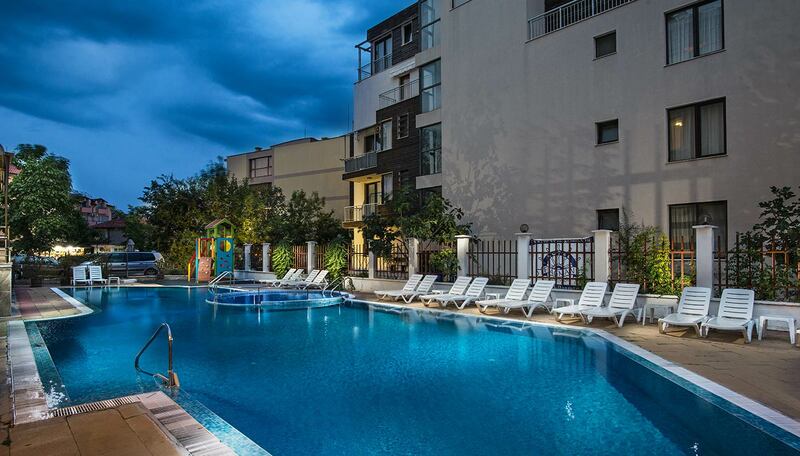 The hotel is located near the stadium “Arena Sozopol” /20 m/. With its unique architecture of a ship anchored at the shore, the Flagman hotel complex *** is situated in the new part of Sozopol town, 50 m from the Harmanite beach, with a 5 km long beach of fine sand. The hotel offers all you may need for your comfort during your vacation or your organized event ! Active recreation or relation – it is up to you to decide ! -comprised of an indoor room with 100 seats and 2 open terraces with 160 seats. The Flagman restaurant is open every day from 8:00 to 23:00. Breakfast, lunch, brunch and dinner, included in the price of the rooms in the case of all inclusive packages, served as buffet. There are soft drink and hot drink machines near the buffet table, also included in the price. Alcoholic drinks will be offered and served from 10:00 to 22:00. We offer 5 types of Bulgarian spirits, draft beer, white and red wine. At different times you can enjoy, with additional payment, diverse Bulgarian and European cuisine in combination with a wide range of spirits and soft drinks and cocktails. Your comfortable and pleasant journey is further guaranteed by us! We make arrangements to meet you at the airport and/or organize for you trips and events. Хотелът се намира на много тихо и спокойно място в новата част на гр.Созопол. Разположен е на 70 м от плаж Хармани с 5 км плажна ивица, 2200 часа слънчево греене , 27 градуса морска вода.